Scoot™ is the low-cost, medium-to-long haul arm of the Singapore Airlines Group. 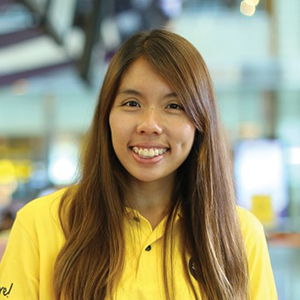 Scoot took to the skies in June 2012 and merged with Tigerair Singapore in July 2017, retaining the Scoot brand and positioning it well for a new chapter of growth. We want people with big smiles and even bigger personalities. People with passion—passion for travel, passion for people, passion for pushing boundaries. An airline with a different attitude. People with a different attitude. Scootitude™. If you think you have Scootitude and can handle the excitement and challenges ahead to grow with us, apply today! Receive information about vacancies and recruitment from Scoot Careers Facebook Page – "GOT Scootitude?" This Specialist position will be a full member of Scoot’s Distribution team under the Planning department. The role of Officer, Revenue Management is to provide support to the Revenue Management team in developing and implementing pricing and revenue management strategies to maximize network revenue. Kah Fai graduated with a Bachelor of Social Science in Economics (Hons.) at National University of Singapore (NUS). 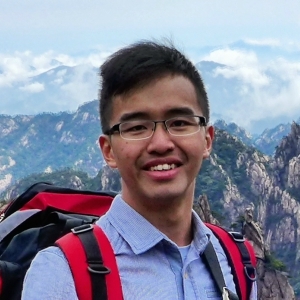 Nicholas graduated with a Diploma in Materials Science at Republic Polytechnic. He is currently pursuing a Bachelor of Science in Aeronautics at Embry-Riddle Aeronautical University. Wen Yi graduated with a Bachelor of Business (Marketing) at Nanyang Technological University (NTU). Get an inside look on Scoot's criteria for candidates.